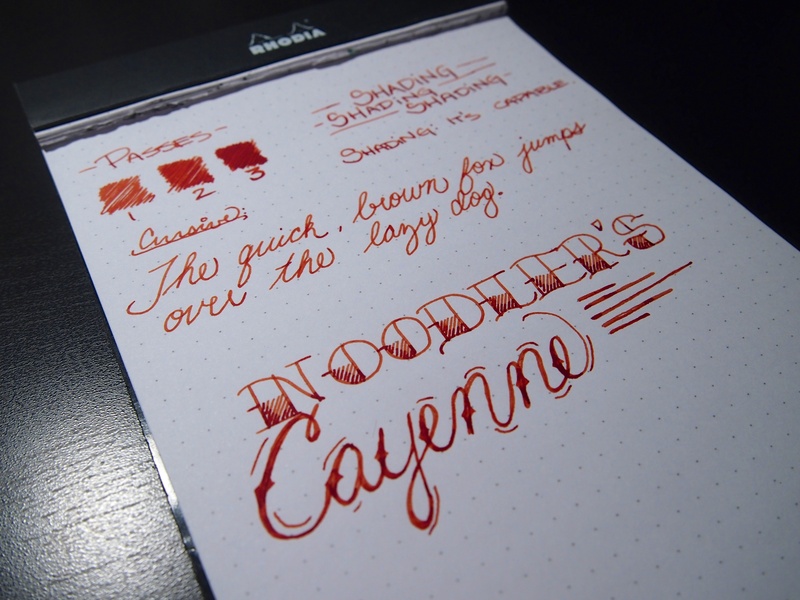 Notes: I wasn’t the biggest fan of orange inks, but this one really stands out. 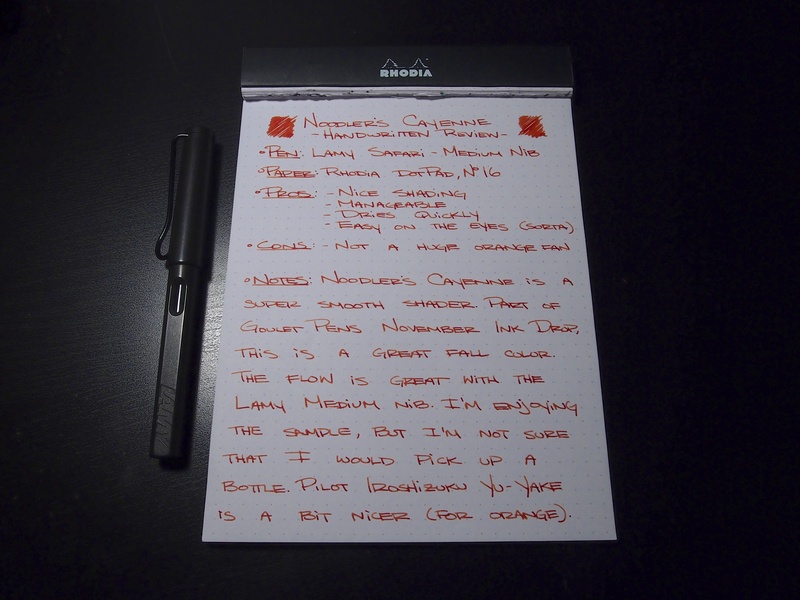 The only other orange ink I have extensive experience with is Pilot Iroshizuku Yu-Yake. 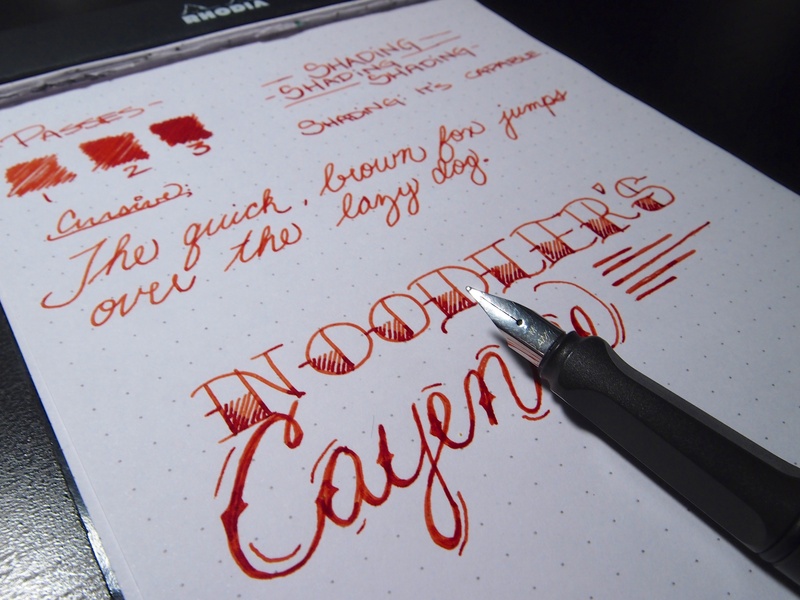 Both of these inks are great shaders, but the Noodler’s is a little bit darker, therefore being a bit easier on the eyes. I think I could take notes with this stuff without getting a headache, which is a good thing. The ink is super smooth and well lubricated with the Lamy Medium Nib. 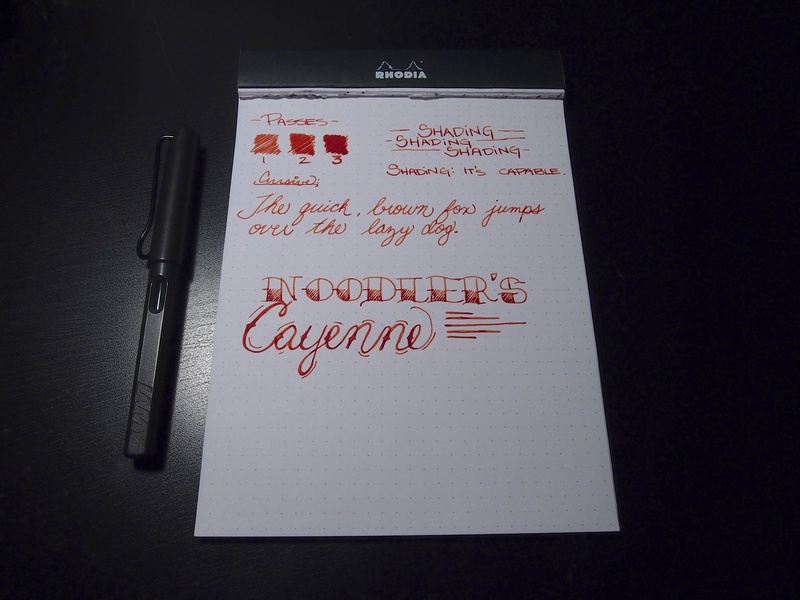 The Lamy Medium tends to be my favorite for testing out inks because it’s wide enough to shade yet it still suits my handwriting style. This ink may be bottle-worthy, especially because it’s substantially cheaper than the Iroshizuku line. 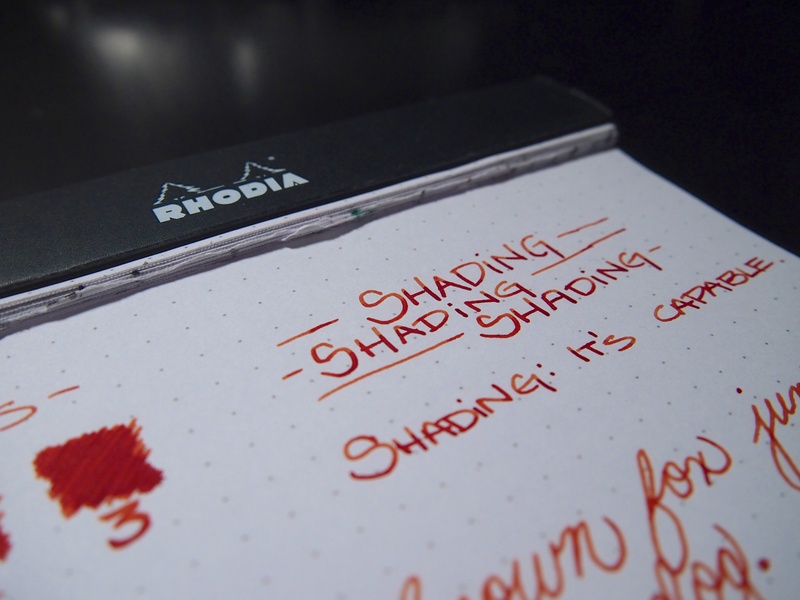 I also prefer it slightly more than the Iroshizuku because of the darker shade. I’ve also started doing a bit of fancier lettering on the bottom of the second page of my reviews so there’s more of the ink on the page, I think I’m going to keep doing that like I did here and on my Diamine Ochre review. Happy reading, enjoy the review. This is a beautiful review! I love your pictures and penmanship! The nib really brings out the beauty of the ink as well, good choice. Thank you! I really appreciate the kind words. I spent a lot of time working on my penmanship. I completely overhauled my handwriting over the past two years, it’s been quite the process! The more I use this ink, the more I like it.